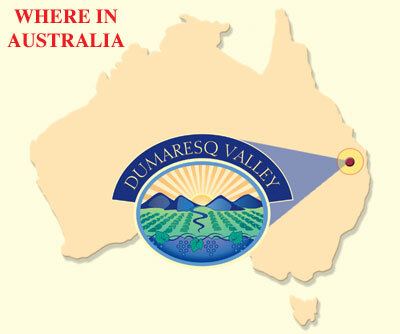 Dumaresq Valley Vineyard is 75 kms west of Tenterfield on the Bruxner Highway. Travel 5 kms north out of Tenterfield towards Stanthorpe on the New England Highway then turn left onto the Bruxner Highway. 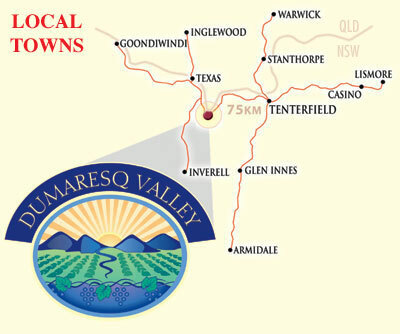 Dumaresq Valley Vineyard gives you the opportunity to come and see the sheep shearing that takes place on the property from the Tuesday after the long weekend in October through to late October. See the steps involved in a shearing shed from the wool coming off the sheep's back right through to pressing the wool into bales ready for market.